I maintain a list of blogs created and maintained by employee assistance programs (EAPs). That's a lie. There is no such list. Even though there is probably no better way to showcase expertise, few and I mean very, very few EAPs have a blog of high quality. In fact very few EAPs have a blog of any kind. So when I see someone, anyone, do a really nice job of blogging about EAPs - well, I have to blog about it. I had never heard of a Canadian EAP called Aspiria. And I still wouldn't - except that I use StumbleUpon and up popped a blog post "Top 10 Reasons for an EAP – Insight from an EAP Expert Part 1." The posts are written by Aspiria CEO Charles Benayon and he has done everything right. First and foremost, he has written an interesting and informative blog post - anyone in the market for an EAP would find it extremely helpful. His layout is graphically pleasing. His color palate is bright and reminiscent of his Aspiria website color scheme, achieving an overall visual branding. Subscribing to the blog is simple and right there at the top of the post. Canadian EAPs have consistently trumped the rest of the world in their early and effective adoption of social media and technologically cutting edge service delivery. But you don't have to be Canadian, nor at the helm of a large EAP to create an effective blog. 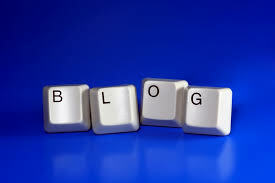 You just have to write well, create compelling content and sign up at wordpress.com or blogger.com. Then put your blog URL in the comments section of this post. Who knows, maybe I'll write about it. I have been following your blog for a while now and enjoy your eclectic insights on technology, work and life. Coincidentally, I was at the national EAP conference in Phoenix when I read this post and was surprised to see that your focus had wandered into my domain of EAP and blogging. Anyway....I want to call your attention to my EAP blog stress.health.business. (http://www.compeap.com/blogs/). I would value your feedback.